Have you watched 'The Great British Baking Show'? It's one of the most popular reality tv shows in Britain, and now it airs on BBC America and streams on Netflix. People love the show, and it appeals to In fact, when a new episode airs, the hashtag #GBBO is often trending on Twitter. Unlike American baking shows, this reality show is not as highly edited. The pace of the show is slower. In my opinion, high editing of baking shows makes them appear inauthentic. It is one of the reasons, that I don't enjoy 'Cupcake Wars'. One of the things that I like about the show is that you learn a lot about the basics of both baking and pastry making. Sponge cake is a cake that I learned a lot about while watching 'The Great British Baking Show'. One of the things that I like about the show is that you learn a lot about the basics of both baking and pastry making. Sponge cake is the quintessential cake for British baking. Sponge cake is a cake that I have only eaten, but I had never baked before until recently. It's more delicate than a traditional cake. All the ingredients for a sponge cake should be at room temperature before you start to prepare your batter. It has a firm, yet well-aerated structure, similar to a sea sponge. A sponge cake may be produced by the batter method or the foam method. 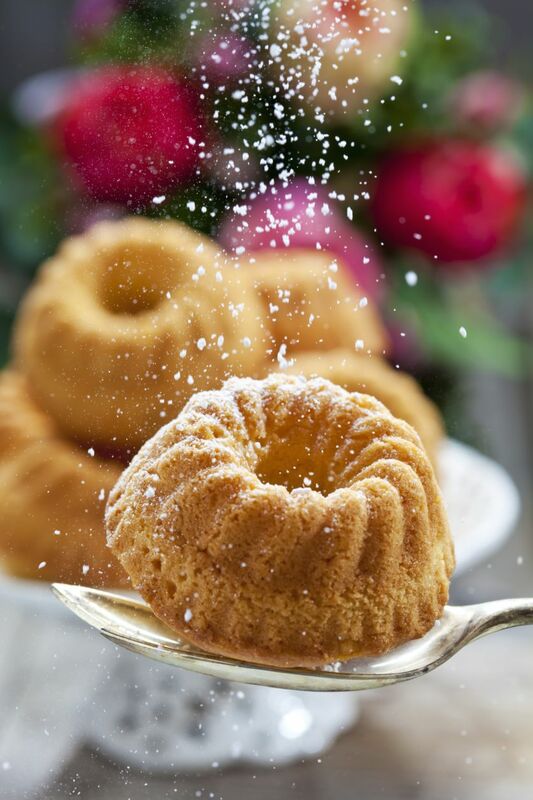 The foam method of a sponge cake uses little to no butter or shortening. For most recipes, you would probably go with the batter method. If the butter is too cold, then it takes a long to incorporate into the sugar or eggs and can cause over-mixing which in turns means a heavy cake. Preheat the oven to 400°. Prepare two muffin pans with cupcake liners. Combine the eggs, vanilla, salt and baking powder and beat well. Add the sugar and mix well. Heat the milk until it just starts to boil, remove from heat and stir in the butter until it melts. Add to the rest of the ingredients and mix. Fold in the flour gently. It's important to not over fold the flour. Use an ice cream scoop to measure out the cupcake and fill the muffine pans to two-thirds full. Bake at 400° for 18-20 minutes. Remove finished cupcakes from the pan and allow to cool before frosting. Is Baking Different From Cooking?